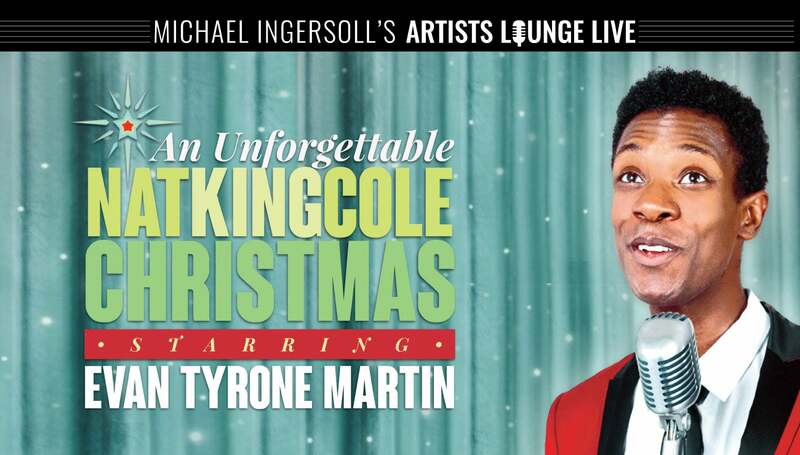 CINCINNATI, OH – Warm up your holiday season with the Artists Lounge Live production of An Unforgettable Nat King Cole Christmas starring Evan Tyrone Martin from December 5-7, 2018 at the Aronoff Center’s intimate Jarson-Kaplan Theater. All performances are at 7:30 PM. The show is a part of the Cincinnati Arts Association’s 2018-19 Season. Evan's Chicago theatre credits include: Jesus Christ Superstar (Jesus; Black Theatre Alliance Award nomination), Oklahoma (Ali Hakim), Hair (Hud), I Left My Heart: A Salute to the Music of Tony Bennett (Jeff Award nomination), Far From Heaven (Raymond; Jeff Award nomination), Dreamgirls (Curtis; Black Theatre Alliance Award nomination), The Little Mermaid (King Triton), Rent (Collins), The Color Purple (Harpo), Side Show (Jake; Jeff Award nomination), Violet (Flick; Jeff Award nomination), Kiss of the Spiderwoman (Valentin; Jeff Award nomination, Broadway World Award nomination), Floyd Collins, and Some Enchanted Evening. Regional credits include: The Little Mermaid (King Triton), Forever Plaid (Jinx), Hair (Berger), and Pippin (Leading Player). Concerts: Unforgettable: Falling In Love with Nay King Cole and An Unforgettable Nat King Cole Christmas. Martin is a graduate of Ashland University.